Argentina is known as the meat lover’s paradise. 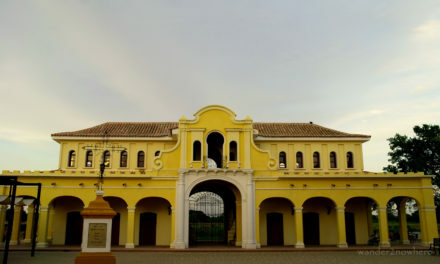 Thus, it is no wonder that the top ten Argentinean foods will include several delights for carnivores. For the vegetarians among you, options might be a bit more limited. But there’s always dessert to save the day! 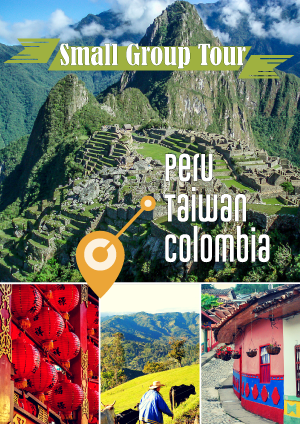 If you want to try some of these culinary delights, take a look at online deals to find the best prices for hotels in Buenos Aires, good rates in San Carlos de Bariloche, Mendoza, and Cordoba, and Ushuaia. 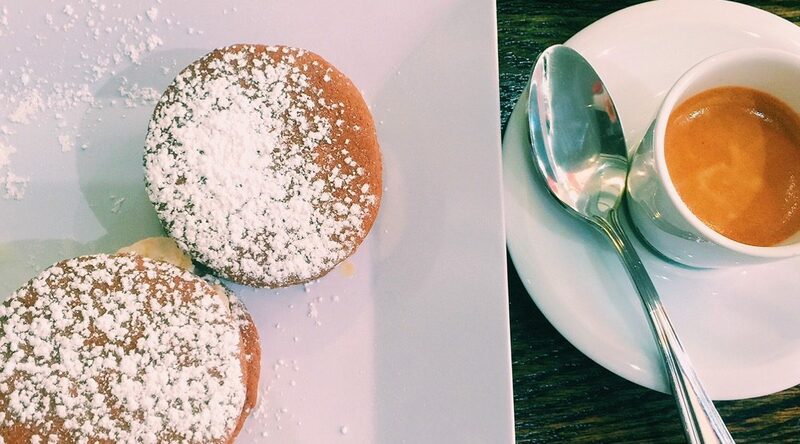 Read on to find out the specifics on our favorite Argentina foods. 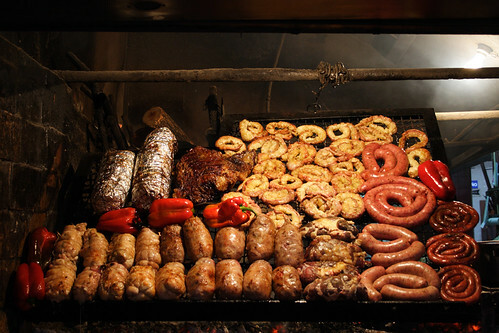 An asado without chorizo would be a sin in Argentina. Chorizo is a spicy sausage usually made from pork. It is grilled alongside the other meats. Note that blood sausages are also common. As you can see, in Argentina it’s all about the meat. Empanadas are common in Spain, Chile and other parts of the world, but that doesn’t mean they’ll be the same as in Argentina. 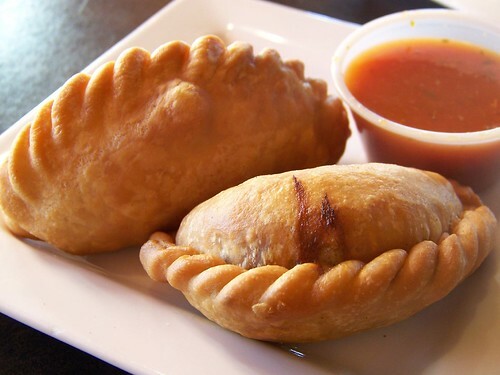 First, however, let me explain what they actually are: empanada literally means something that is breaded. In this case, however, it is more of a flour dough that is then filled with various ingredients. Typical fillings include meat, chicken, ham and cheese, mozzarella and tomato. At some establishments, you can even get whole-wheat variations with vegetarian fillings such as pumpkin or zucchini. The name of this food comes from the saying “matar el hambre,” meaning to kill one’s hunger. 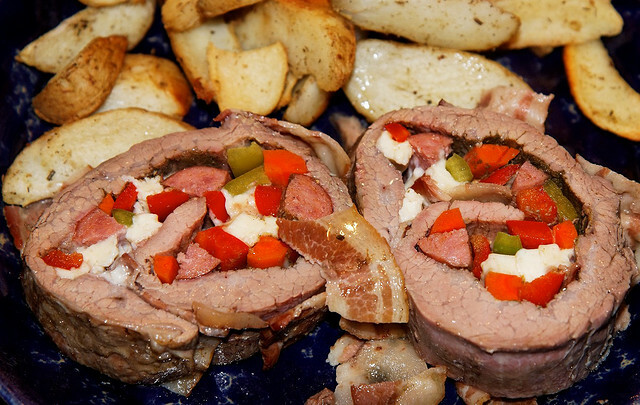 Matambre is a long, thin slice of meat that is rolled around a filling, which usually includes spinach, onions, sliced carrots and hard-boiled egg. Together, these are simmered in stock until the meat is tender. After that, it is drained, cooled and sliced. As an appetizer, it can can be had at any hour of the day, but usually is consumed for lunch and/or dinner. In Europe, this would have been called a Wiener Schnitzel. 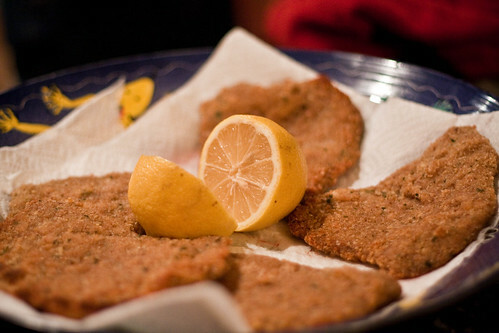 That is, a milanesa is a thin breaded meat. In Argentina, it is often served for lunch with French fries, or even as part of a sandwich. Usually, it will be meat-based, but some establishments have expanded to include chicken options (milanesa de pollo). Ask before you order if it makes a difference to you. Among vegetarians, milanesas de soja (breaded soy burgers) have become popular. Argentina still retains much of its Italian influence, and the pizza is part of that. 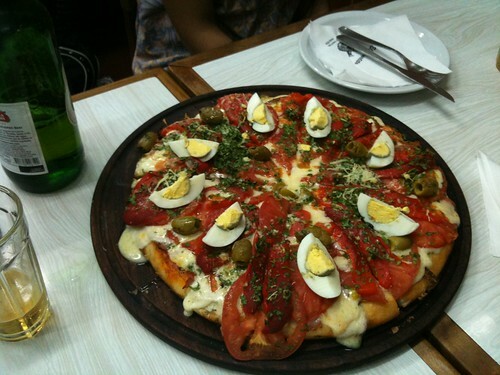 In contrast to Italy, however, Argentina’s pizza is usually made with thick dough. You can get it everywhere; from the nearby street vendor as well as at a fancy restaurant. In fact, at some establishments, you can even buy it by the meter! Conventional toppings include ham and cheese, mozzarella and tomato, traditional margarita, as well as variations with pineapple, corn and hard-boiled egg. Go down south to some of the Patagonian refugios and if you get lucky, the mountain hut owner might even teach you how to make the dough. Finally, we come to the purely vegetarian options. 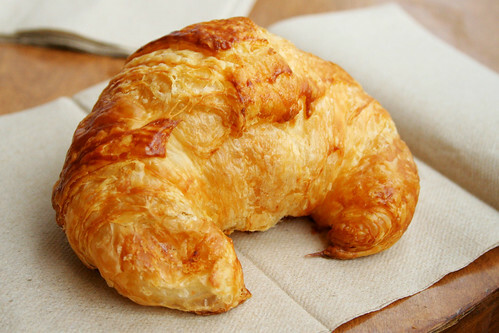 Media luna literally translates as half-moon and is the equivalent of a French croissant. It is typical to eat several media lunas for breakfast, and they are also served as a traditional snack to be had in the afternoon. 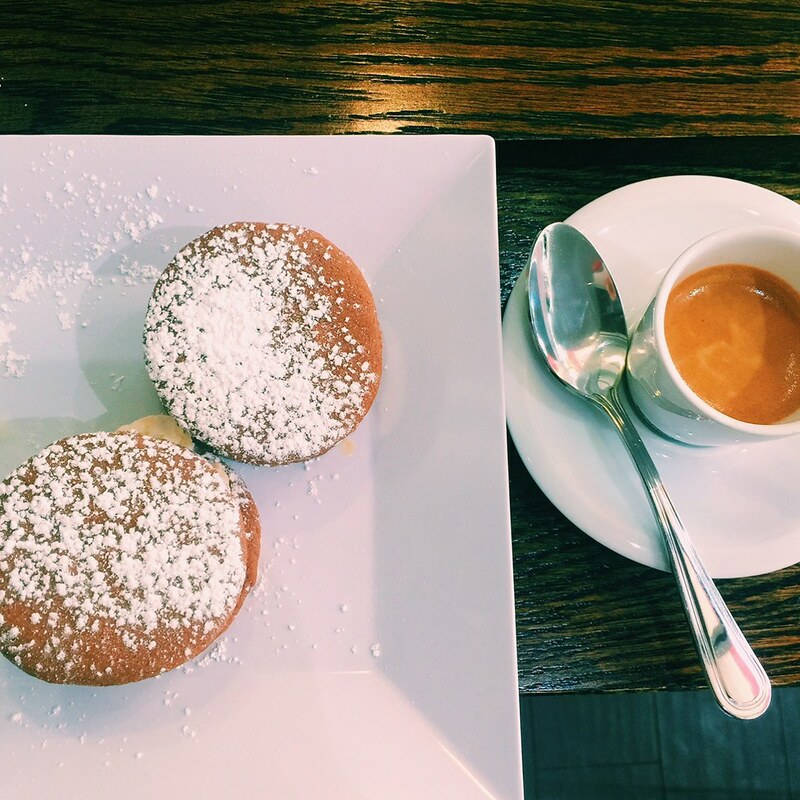 Alfajores are short bread cookies that now come in a series of variation. 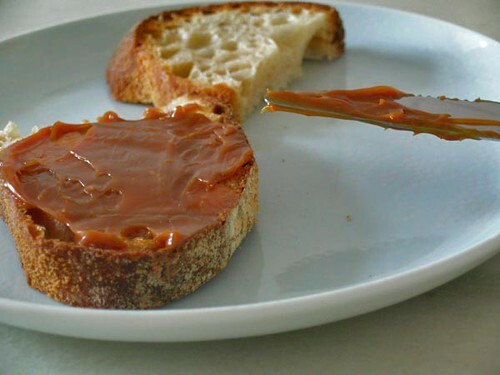 The most traditional is the one with dulce de leche, which is where two short bread cookies are joined together in the middle with the caramelized condensed milk. It might even be topped with coconut shavings (as in the picture above) or dipped in chocolate. A good brand to try is Havana. Yes, submarino means submarine. But only when you know what this is will you understand why it goes by this name. 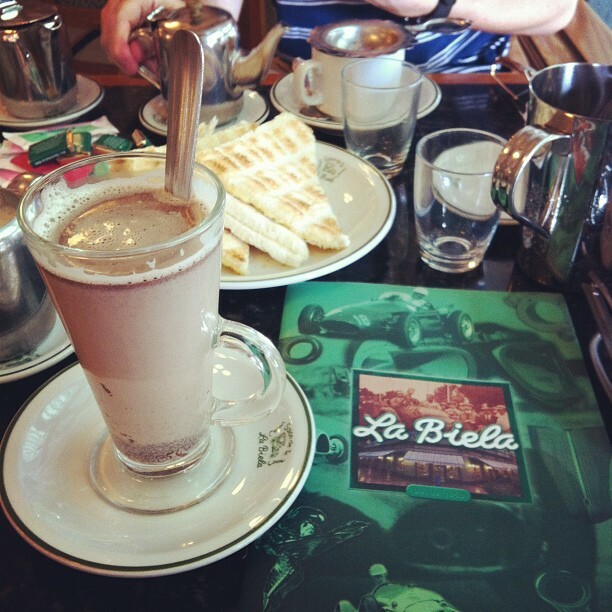 A submarino is a glass of hot milk that comes with a bar of chocolate. The latter is then submerged in the milk, letting it melt. Hence the name submarino. It’s a delicious version of hot chocolate that you can really have at any hour of the day! I think I luckily had most of these foods (not the submarino) years back when I was there. Argentina is easily THE best foodie country in the world, by taste and value. Wow! Looking at these fotos made my mouth waters and brought back so many memories. Love the asado, the best in the world.